It's time to take another look back at the X-Men comic book franchise for the year that was 2010. There were a lot of changes and many ups and downs as would be expected for group of books about mutants. In this installment, I take a look at the Forever books that came out in 2010. Yikes! That’s a lot of issues for one year! 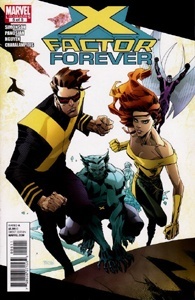 Not only did X-Men Forever come out twice a month, but writer Chris Claremont had felt the need to expand the narrative to an oversized annual and a king-sized special. I still don’t understand why after 24 issues, the series was cancelled and relaunched with a new first issue a month later. It’s still the same book with the same publication schedule and the same creative team. For the most part, X-Men Forever has been a guilty pleasure. This is legendary X-Men writer Chris Claremont given the opportunity to pick up where he originally left off almost twenty years ago and continue his story. I seriously don’t think this is how he would have gone about it though, but it’s fun to see Claremont playing with these characters again and without any baggage that a dozen other writers have attached to them. This has been the best material he has produced in a long time, too. Part of the improvement is due to Claremont reigning in his verbose prose which really got out of control in the last decade. It’s been fun watching Nightcrawler and Rogue deal with their power switch. Jean Grey has stepped up as a leader. Nick Fury has his secret band of agents skulking around the sub-levels of Xavier’s School. Kitty has not only absorbed on of Wolverine’s claws, but some of his healing factor and his bad attitude. Plus, we get villains like Sabretooth and Mystique running with the angels. Not satisfied with killing off Wolverine at the beginning of the project, Claremont decided to get rid of Beast, as well. The best issues seem to be when Tom Grummett is providing the art. 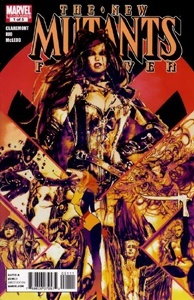 While the first volume had a number of fill-in artists, the bulk of the series was drawn by Grummett. 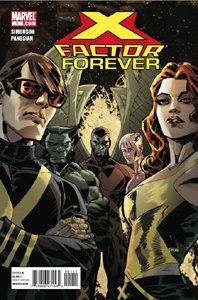 He provide art for the first three issues of the X-Men Forever 2 and the sixth issue as well, but has disappeared from the book save the his wonderful covers. Some of the guest artists have been really good like Graham Nolan and Rodney Buchemi. Unfortunately, we had three issues with art by the once great Mike Grell that was far from his best work. Grell’s issues really hurt any potential enjoyment I may have received from those issues. I think there’s only going to be four more issues from X-Men Forever 2 when we get into 2011 and then the project is getting put to bed. The second volume has not been as strong as the first, so I’m not entirely upset. It was fun while it lasted. Louise Simonson was given the opportunity to revisit one of the books that defined her career with X-Factor Forever. 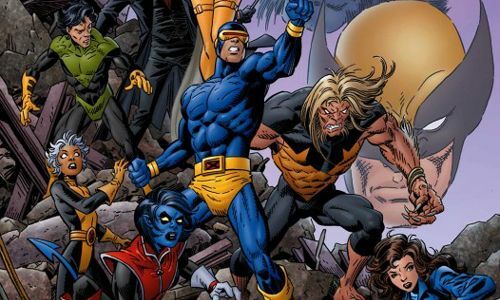 The concept is the same as with Claremont and X-Men Forever; Simonson got the chance to pick up where she left off on X-Factor nearly twenty years ago. She was only given five issues, but I think this book appealed to an even narrower fan base than X-Men Forever. Simonson’s story felt more like a natural progression from her previous work than Claremont’s return in X-Men Forever. When she left the book almost two decades ago, she was in the process of turning the original X-Men into a sort of mutant Fantastic Four: a superhero team originally created in the ‘60s that was family, who were living in their skyscraper headquarters based in Manhattan. Weezie picked up that idea and continued to run with it in this mini-series. Unfortunately, Simonson tried to do too much with too little time in X-Factor Forever. It quickly became and “everything AND the kitchen sink” affair. Apocalypse and Caliban were fine enough, but she also brought back Master Mold and Cameron Hodge. Plus, she threw in Sabretooth, Mr. Sinister, and the Celestials for good measure. Maybe I’ve just gotten used to how decompressed comics have become in the past ten years, but she crammed in enough material for twice the issues. Still, this was a fun walk down memory lane with an old friend. It was also a great reminder that Louise Simonson was very instrumental in defining the modern interpretations of Cyclops, Jean Grey, Iceman, Beast, and Archangel. X-Factor Forever wasn’t for everyone, but I enjoyed it for the most part. And then there are cases in which you can never go home again. Case in point: New Mutants Forever. Chris Claremont left New Mutants in the mid ‘80s with several unresolved stories still hanging out there. 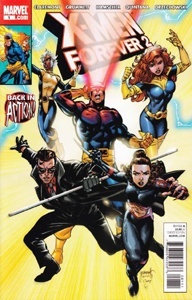 Here he was given the chance to tackle some of them in a five issue mini-series similar to the concept of X-Men Forever. It didn’t go nearly as well as X-Men Forever or X-Factor Forever. This was a train wreck. First off, the concept that Claremont decides to readdress is Nova Roma; the Roman city forgotten by time and tucked away in the Brazilian jungle. 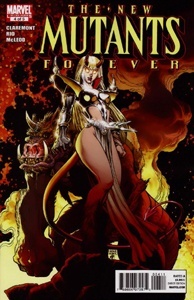 As a result, we get a strengthening in the connection between Magma and Selene, the Black Queen of the Hellfire Club. Even back in the day, Selene was a fairly irredeemable villain. Here, Claremont turns her into the righteous hero of her people. It just didn’t work for me. Also, for most of the series, a bunch of the characters were either sidelined or severely marginalized. Wolfsbane and Mirage were taken off the board after the first issue. Sunspot languished off panel in a cell for most of the series. Cannonball and Mirage were overshadowed by Selene most of the time. Cypher was mutated into a Red Skull clone and Magma spent most of the book mind-controlled by the Nazi. This is not what I had hoped for when New Mutants Forever was announced. And the main villain of the piece was the Red Skull! What?! This is a character with no connection to the New Mutants. This was simply bad. On the positive side, the art by penciller Al Rio and inks from former New Mutants penciler Bob McCleod was pretty decent. The covers by former New Mutants artist Bill Sienkiewicz and Art Adams (who provided a good number of New Mutant covers back in the day) were outstanding. Thank goodness for small favors. Next time, I'll conclude my look at the X-Men books of 2010 with Generation Hope, New Mutants, X-Men: Legacy, and the flagship title, Uncanny X-Men.